As you exit Venice's Santa Lucia railway station (traveling by train is by far the best way to reach Italy's famous lagoon city), head left and walk along the Lista di Spagna as far as Campo S.Geremia and the Guglie Bridge. Cross the bridge, turn left, and enter the underpass located opposite the vaporetto stop. The entrance to the ghetto serves as symbolic boundary which visitors must cross in order to access the 'other' world, a world largely unknown to the millions of day trippers whose visit to Venice is often limited to a whirlwind tour of the Grand Canal, St Mark's Square and Rialto. 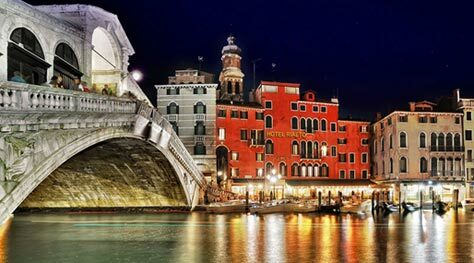 Venice's Jewish ghetto is the oldest in Europe, created in 1516 when the government of the Serenissima ordered that the city's Jewish citizens should live within a circumscribed area, to which they were to be confined from sunset until sunrise. The designated area was in the Cannaregio district, on the site of an abandoned foundry or "geto", and it is from this that the term "ghetto" derives.Today, you can still see signs of the hinges of the gates behind which the Jews were locked away at night. Despite its name, the Campo del Ghetto Nuovo ('the new ghetto') is, actually, the oldest part of the settlement. Over the centuries, the population grew to such an extent that the only way the Ghetto could expand further was going up! Thus a series of soaring tower houses, the precursors of the modern day skyscraper, many of which were 8 stories tall- were constructed. From the piazza, you can easily reach Venice's Jewish Museum. The museum visit includes a tour of the Ghetto's synagogues. Make sure you pop into the bookshop which has an impressive collection of books concerning both the Venetian Jewish community and the city of Venice itself. 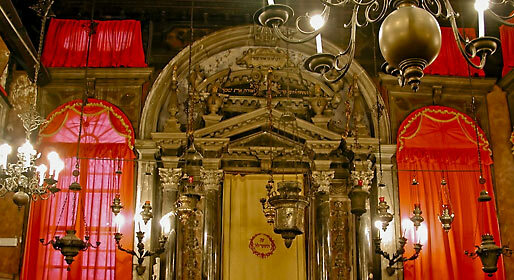 Inhabited by Jews from all over Europe, the Ghetto accommodated followers of Sephardi, Ashkenazi and Italian liturgical rituals, and constructed synagogues (or 'schools' as they were known here) accordingly. Today, the five remaining synagogues can be visited in the company of a guide. Tours start on the hour from the Jewish Museum. In general the tour comprises three synagogues: the German, Canton and Italian synagogues, all of which are located on the top floor of three edifices in the Campo Sul Ghetto Nuovo (according to the tradition, nothing should be allowed to come between the congregation and the heavens). Almost invisible from the outside, the interiors are incredibly ornate: with elaborate inlaid wood, sculpted panels and baroque decorative pieces. 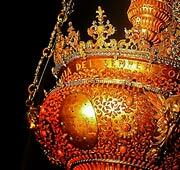 The Levantine and Spanish "schools", most probably the work of Venetian architects, are even more theatrical. No visit to Venice's Jewish Ghetto can be considered complete without having tasted some of the city's excellent kosher cuisine. Gam-Gam, at the main entrance to the Ghetto, serves both typical Jewish specialties and Venetian-Jewish dishes such as artichoke hearts. Don't dare leave without having tried their mixed starters! Opening hours: from June 1st to September 30th: 10.00 - 19.00, from October 1st to May 31st: 10.00 - 18.00, closed on Saturday.